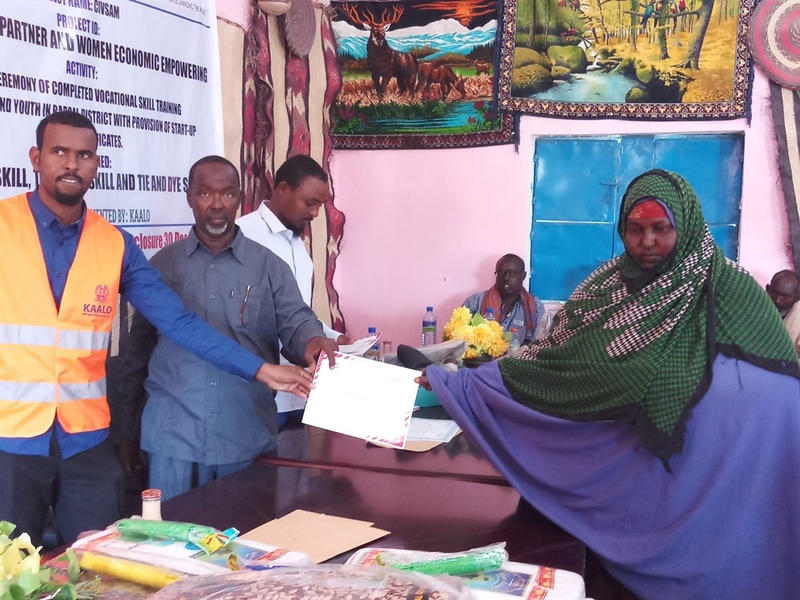 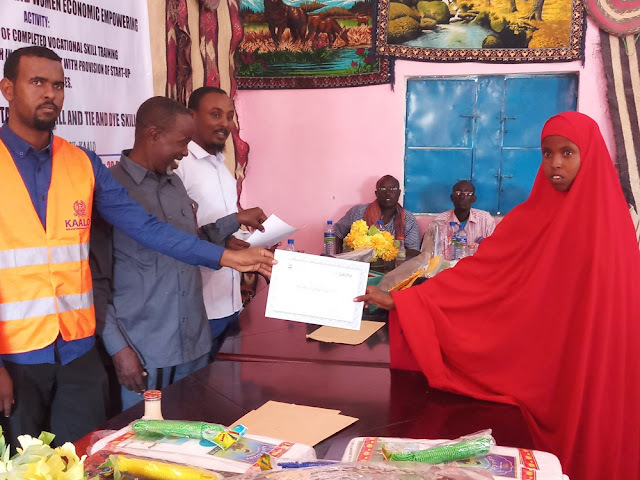 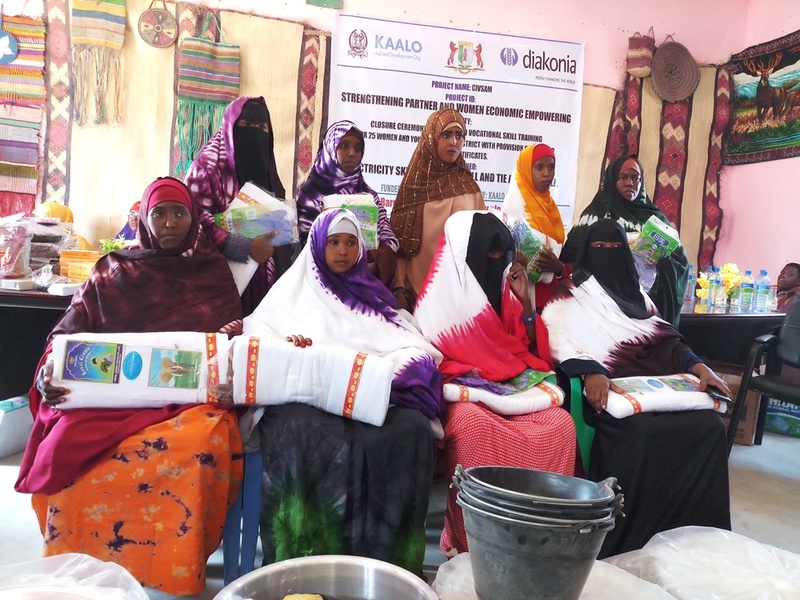 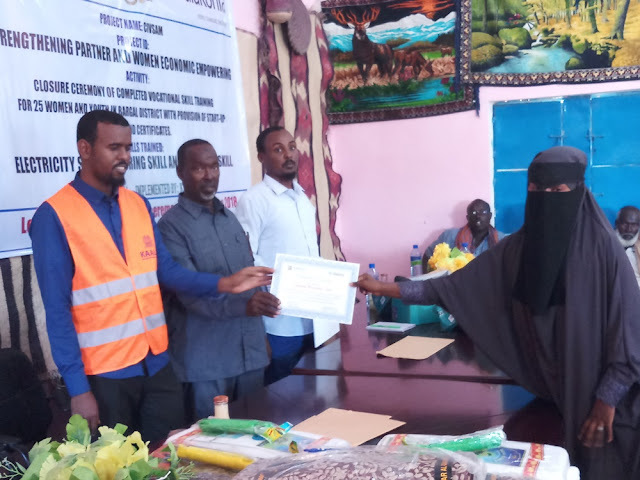 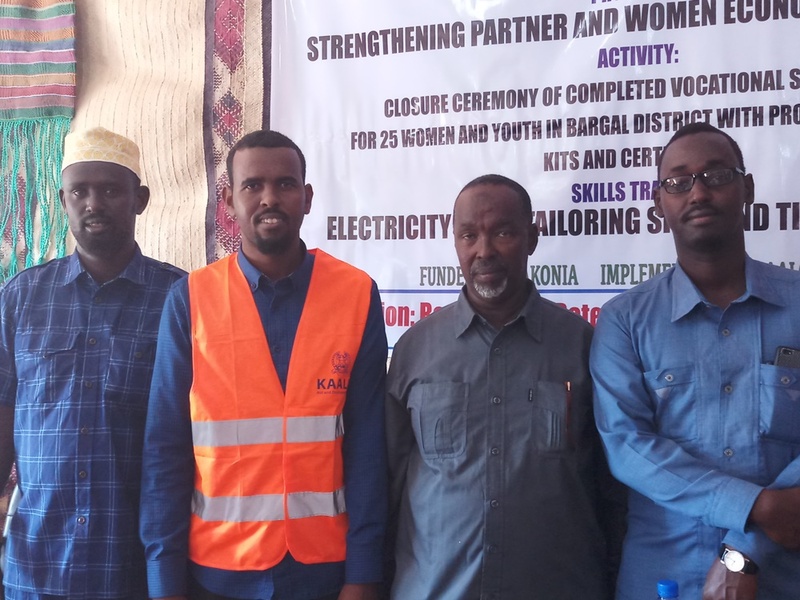 the Participants took part in a two months of training in the fields of electrical installation, tailoring , tie and dye and Business management for women groups at the Bargal Women's Center, which was equipped with classrooms, and workshops. 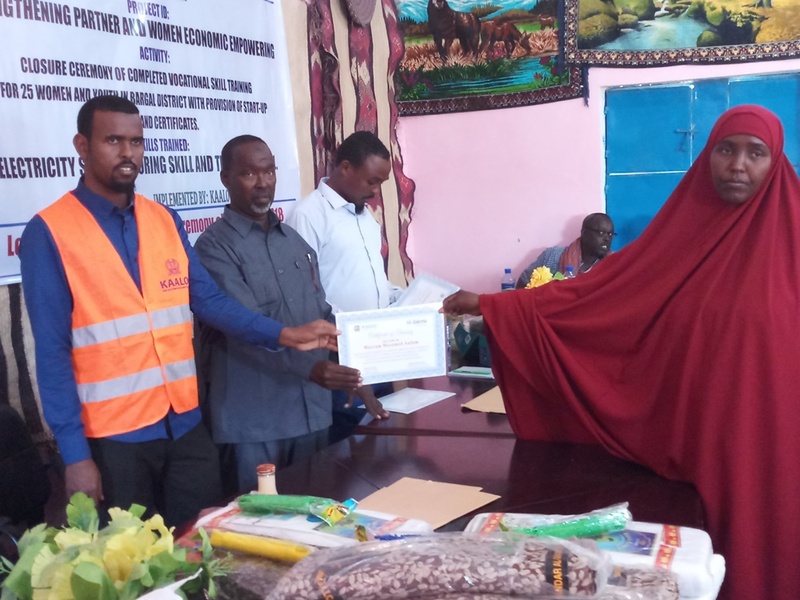 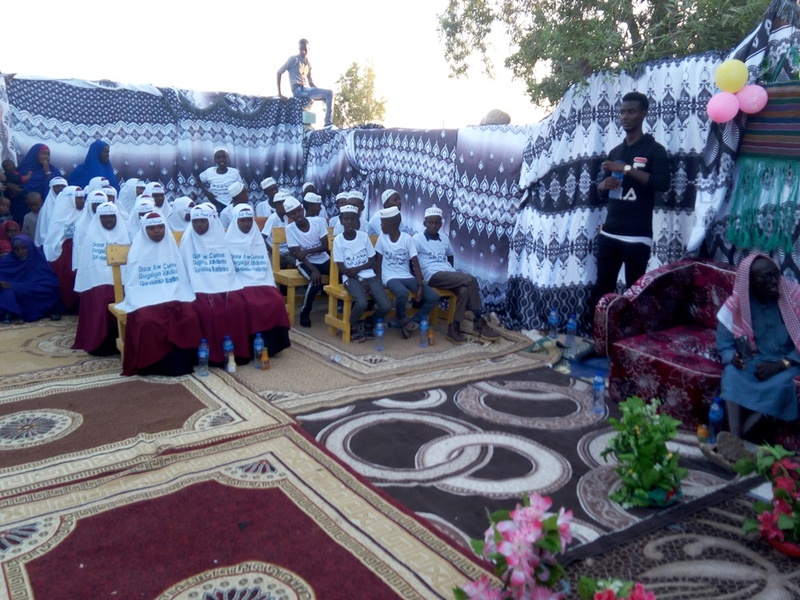 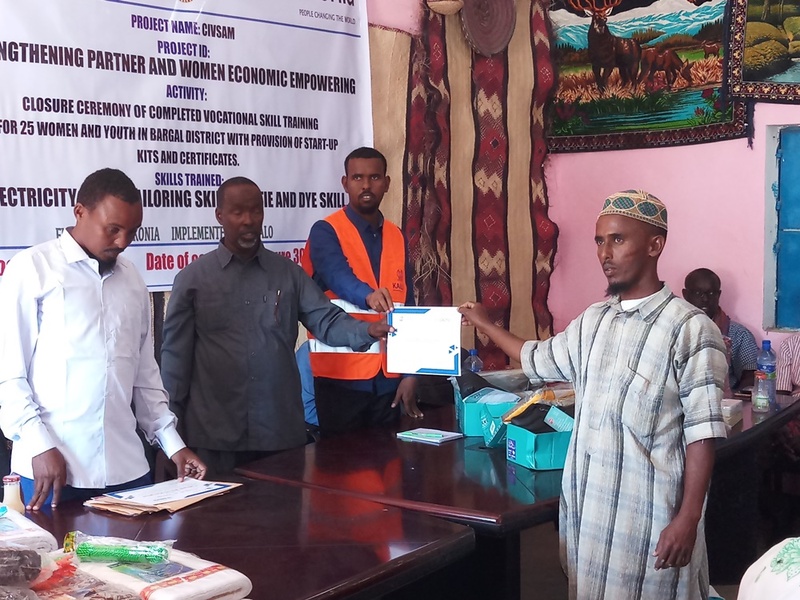 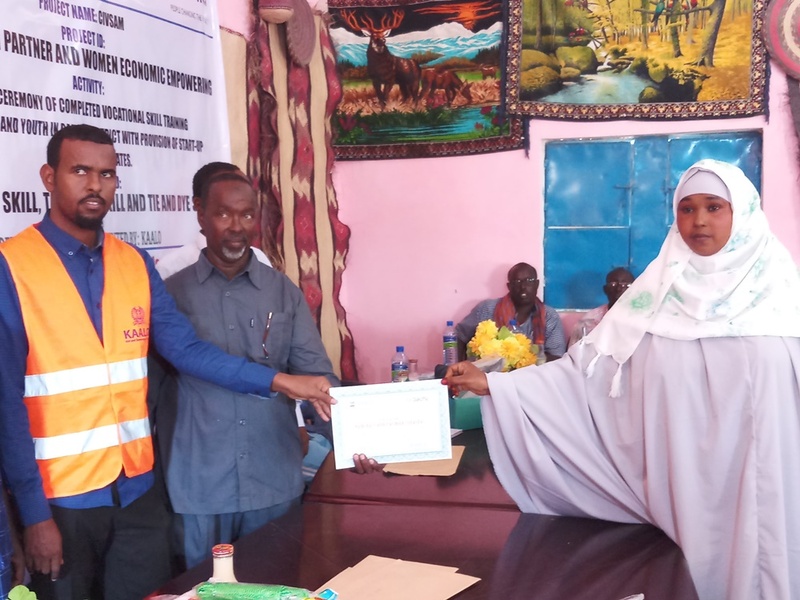 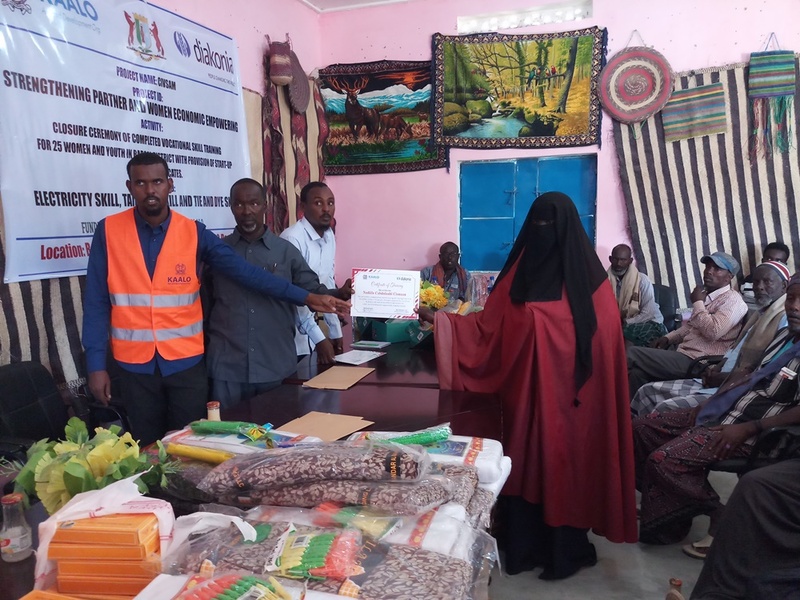 Mr. Abshar Rage, The representative of KAALO Organization , said that The project was aimed at addressing skills gaps among the unemployed youth, enable them find jobs, enhance their skills and enable them eventually to generate income through self employment. 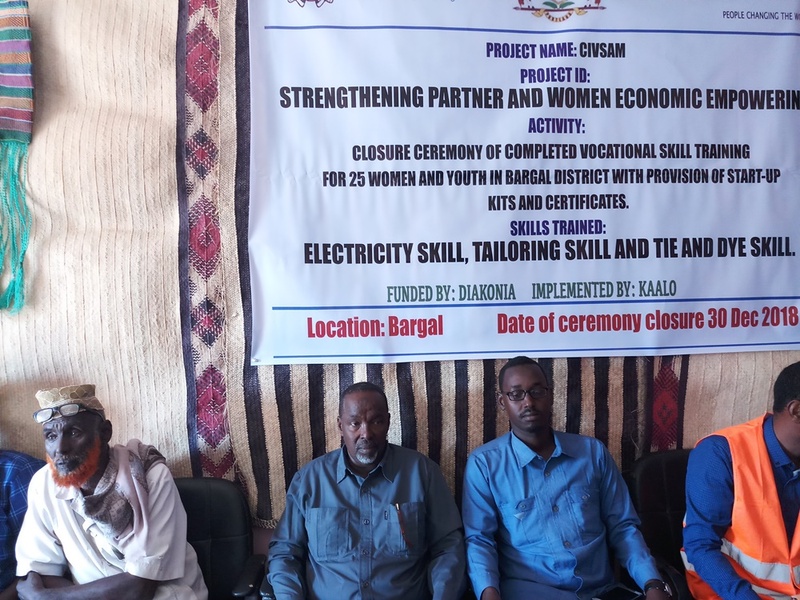 The Mayor of Bargal City blamed the government bodies, ministries and non-governmental organizations for failing to deliver such programs to the region, which rarely reach this area. 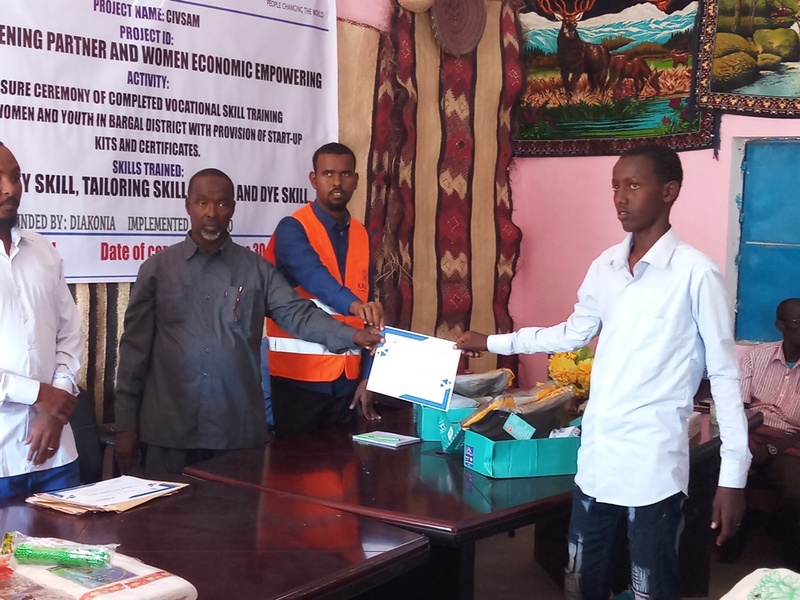 All graduating students received a start-up kit for their respective trades. 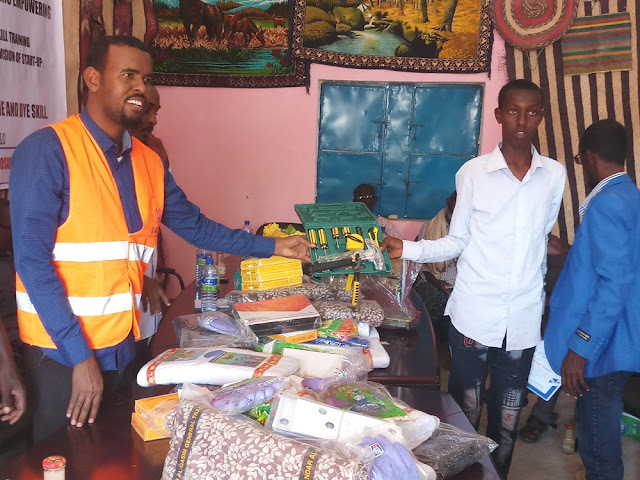 Tailoring graduates received a sewing machine, clothing materials, and threads among other items,The tie and dye students recieved textiles as well as tie & dye paintings, Electrical installation students received a tool box for their line of work. 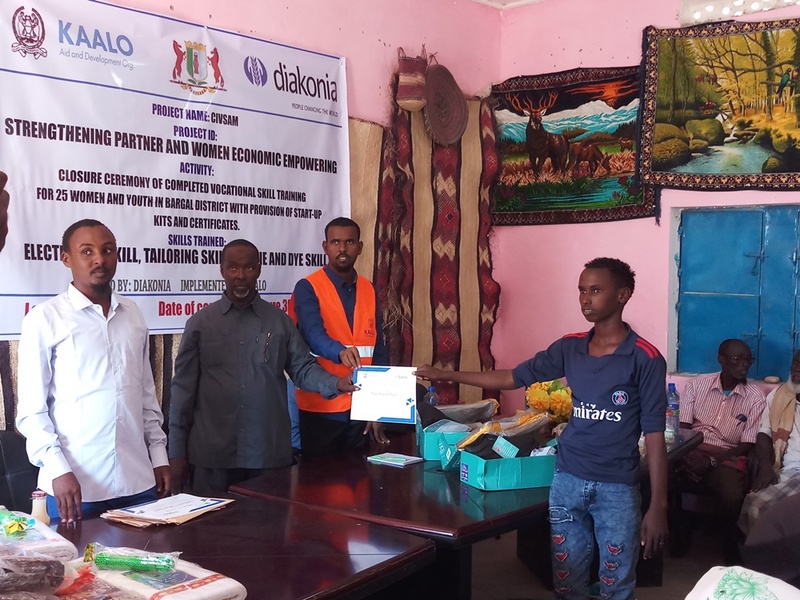 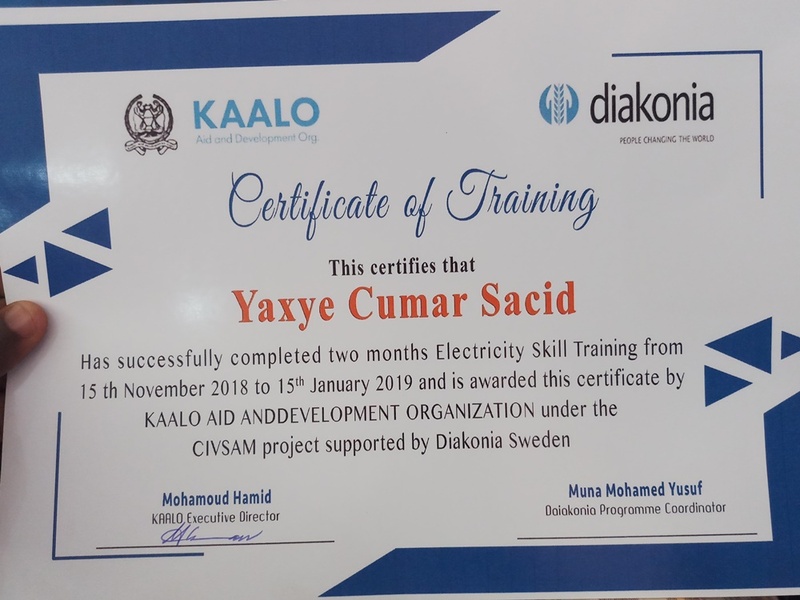 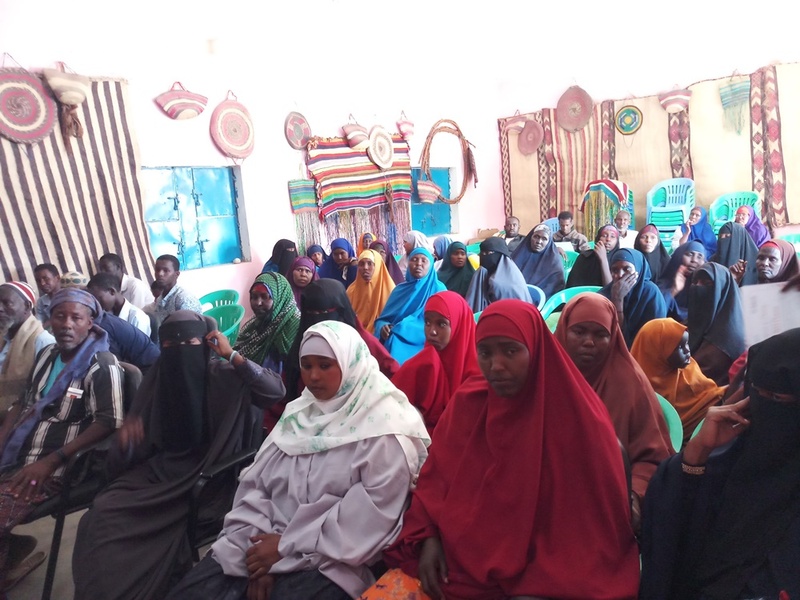 KAALO Organization Also held training sessions on business management; forming groups to ensure sustainability of the businesses or projects they will venture into. 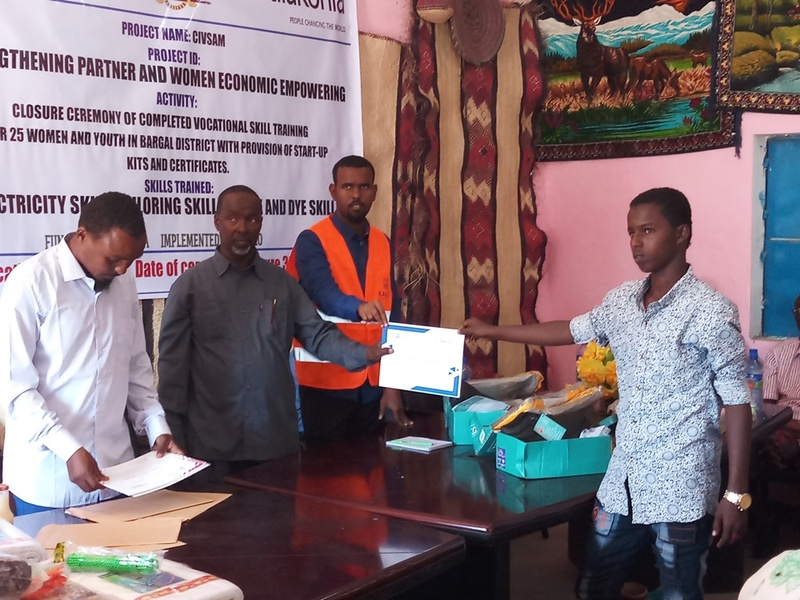 The students were also given exit packages to start them off.